Computing Kaizen is the work of a graduate design studio at the Columbia University Graduate School of Architecture Planning and Preservation. The studio examined some of the themes discussed here, including innovation, physics-based simulation and future architectural software interfaces. 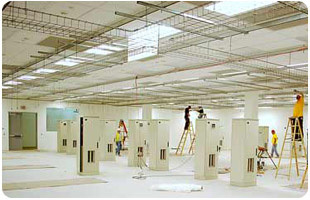 The spaces of innovation: cloud computing facilities under construction. In a world of autonomous intelligence and smart modeling, the road to innovation is increasingly "meta". By computationally describing performances, relationships, objects and behaviors, the studio authored tools that could literally discover their own innovative assemblies. This mechanism of design is based in natural systems, where small, random changes in complex systems lead to outcomes that simply "work" - and by doing so proliferate. 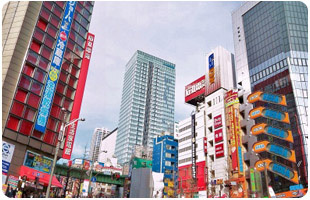 The integration of various, often conflicting goals and systems in buildings (as well as cities) create problems which can not simply be "solved". Rather, a multitude of potential solutions exist within a space of outcomes. Processing has two default modes: "setup", which occurs only once at the start of the script, and "draw", which runs continuously. Using object-oriented programming, one simply defines an element - its properties of shape, its behavior, its relationship with other elements - and instantiates it within the simulation. 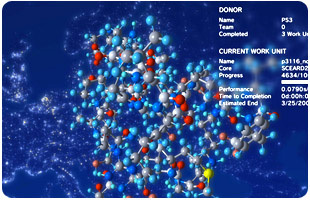 After a simulation has been setup, the recurring draw loop provides an arrow of time that carries forward all of the objects and governing systems. Much like the physical experiments of Frei Otto or Antonio Gaudi, we are using the structures themselves to carry out sophisticated computations - to discover their own latent innovations. Similar to those physical systems, the simulated structures are likely to find a slightly different solution every time you run them. Despite these small differences due to the effect of "chaos" the end results will all share a common logic and collectively describe a family of forms. Folding@Home running in a Sony PlayStation 3. Simulation is a powerful tool available to designers to explicitly determine and explore these issues, and the arrow of time built into the software is the motive force behind that potential. For instance, in Processing an architect might model a building program as a system of springs and weights, which may rearrange themselves by pulling towards similar programs and pushing away from noxious uses. Such a simulation would need to unfold within time in an environment where physical forces acted in a very similar way to our own reality - an isomorphism between code and reality. These isomorphisms can extend beyond the simple rules of matter and can engage with social, institutional and environmental dynamics through the same object-oriented framework. Kaizen is the Japanese word for incremental improvement, where a product or process is iterated many times over - each version slightly better than the previous. The integration of all of these minute changes is a transformative process, one that must evolve through time towards a goal. In Computing Kaizen, each project unfolds in a pocket universe in real-time, as each computational object is empowered to capture efficiencies, move towards more stabile relationships and even to commit suicide - all according to the designs of the code. The small toys exhibited here were developed as interactive games set within the scope and dynamics of each project. They were derived from custom software each student implemented. During the studio custom programs were written for exchanging geometry, measuring performance, physical simulation and parameteric modeling. Each project explored a gradient of possible softwares, in many cases evolving on a daily basis. They are presented here as open-source artifacts for display and re-use.